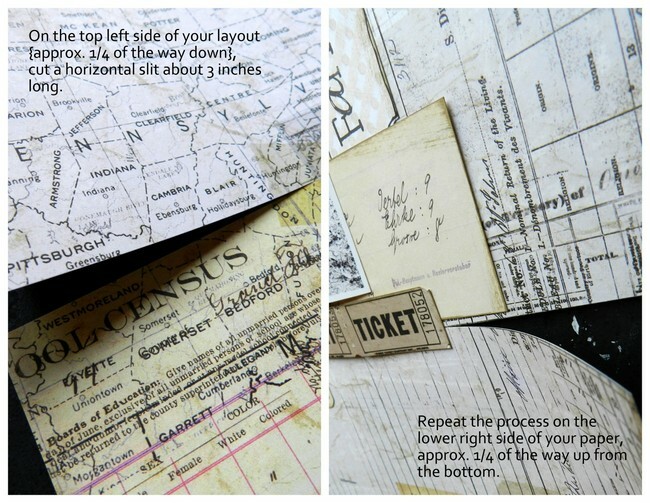 I'm back again today with a layout created for the PaperHaus Magazine blog, and I have yet another tutorial for you, this time focusing on how to use die cuts/hand cut elements to create a collage-style background. Many paper collections come with those sheets that are just full of fun little things to cut out, just like the amazing "Lifetime" & "Engraver" collections from Prima. If you can't choose just one or two images (or die cuts) to use- why not choose them all?! Collage work is fun and there's really not a wrong way of doing it. This is a photo of my niece Lilah and myself when my sister Kelly and her girls came to visit me at my new house for the first time last month. She helped me fill my bird feeders and I just loved having such a sweet little helper! Let's get started on the tutorial, shall we? Wow you make it look so easy! Fabulous layout and great step by step!! The layout is beautiful and the technique you used is amazing! Thanks for sharing your tips! Great tutorial! Love the border punch. Wonderful layout, I love all details of it! Great clustering of flowers! I have yet to get my modeling paste but it is on my list. Thanks for the tutorial Erin! 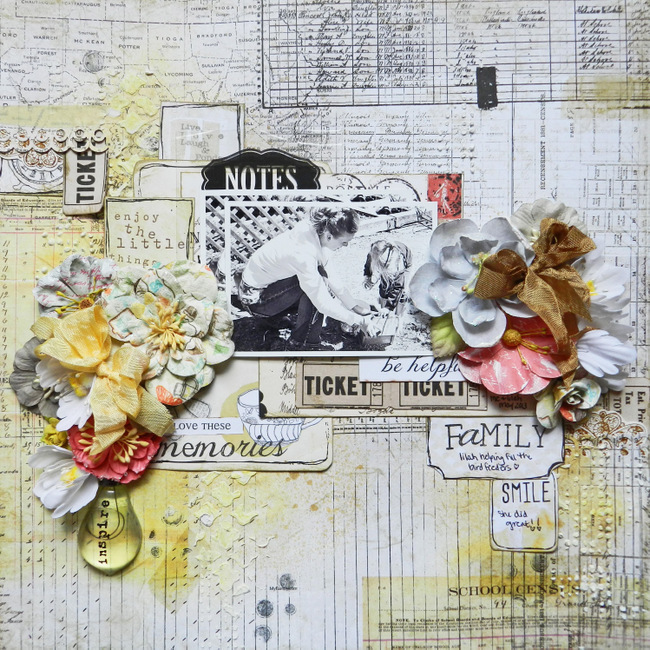 What a great layered background - love the textures and stamping. Lovely layout. It's such a beautiful lay-out with so many awesome techniques on the background. I love it! I love how all the cuts flow across the page....stunning. thank you so much for this great tutorial, I love to learn more tips! Such a beautiful page! Thanks for sharing the wonderful step by step! Magnifique!! J'aime particulièrement ton fond!! Hi Erin, I'm going to give this a try, it looks like such fun and a little different. TFS and your layout with Lilah is gorgeous, I always wished for a sister when I was younger and then again when I had children, you and Kelly are so lucky to have each other. Wow! This is just wonderful! Love the background...looks fab! Loved this, especially the idea of the slits & punching! Gonna try that! !